Celebrating four decades of pioneering goth-rock band Bauhaus, the group's Peter Murphy and David J are now bringing their anniversary tour to North America. 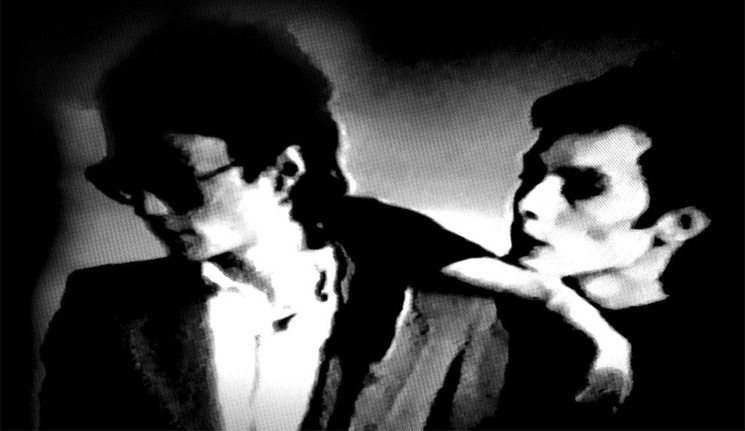 Today the pair announced they will be celebrating "40 years of Bauhaus" with their "Ruby Tour," which will come to North America in the new year. As a press release promises, it will feature the pair playing Bauhaus' classic 1980 debut album In the Flat Field in its entirety, "along with an extended encore of Bauhaus classics." Following an initial run of previously announced overseas dates, Murphy and J will kick off the North American run in January, with a long list of U.S. dates on the schedule. For Canada, there are stops in both Toronto and Montreal. "There is something in you… a fire that doesn't burn, but invokes light… where four individuals become one action and yet retain each of their own singular uniqueness," Murphy said in a statement. "The David J lookalike that I've cheekily placed in the band is not only fooling you but has, by a miracle, become the real thing! It's David J himself! Look at thaaattt! David J 'is' the real thing! Now isn't that just right, if not, lovely?" David J added, "This series of shows have been some of the most electrifying of my career! The band is super tight and playing with lashings of panache and as for M. Murphy, well, he is simply so damn ON! Ruby rising and then some!"